[caption id="attachment_942" align="aligncenter" width="768"] Safety Mats Keep Your Workers Safer[/caption] Workers in your factory or facility deserve to have the safest workspace possible. 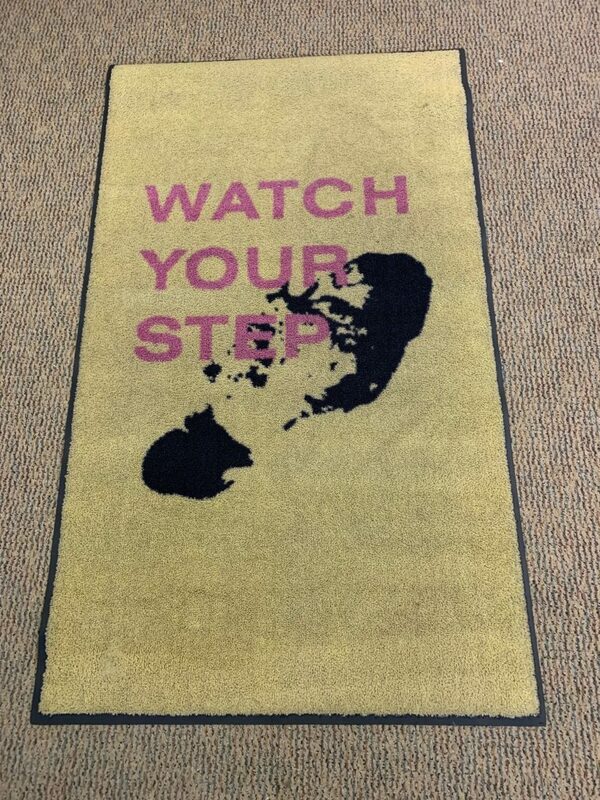 One of the best solutions for slips and falls are custom safety mats from Tipton Linen. Our mats are slip-resistant and OSHAA-compliant and will help reduce accidents in your workplace. We can customize a lay-flat map with the logo of your company or a custom message. These lay-flat mats also can reduce labor costs and boost your productivity by being cleaned in our facility, and prevent accidents in high-slip and fall areas where customers and employees may normally be exposed to dangerous situations. All of our matting is approved by the National Floor Safety Institute and complies with the American Disability Act of 1992. What many people don’t know is just how much dirt the floor of a business can actually accumulate. One square yard of commercial carpeting can accumulate a full pound of dirt in just a week, with wet weather doubling that! While a vacuum cleaner struggles to remove even 10% of that dirt, an entrance mat that is cleaned and replaced by Tipton Linen can actually stop up to 70% of this dirt from even crossing your threshold and keep it at the door where it belongs. Shop Mats, Dust Mops, Wet Mops, Microfiber Wet Mops and Shop Towels to help keep your shop clean and free of dirt. Shop our Customized Mats to give your business a professional appearance beyond your signage. The Tipton Linens Difference is in our work ethic and our commitment to our customers. Dare to compare us to your current linen company by calling us today at 1-800-533-5670 or visiting www.tiptonlinen.com to learn more or request a quote.